TRB's National Cooperative Highway Research Program (NCHRP) Research Report 890: Using Recycled Asphalt Shingles with Warm Mix Asphalt Technologies documents the development of a design and evaluation procedure that provides acceptable performance of asphalt mixtures incorporating warm mix asphalt (WMA) technologies and recycled asphalt shingles (RAS)—with and without recycled asphalt pavement (RAP)—for project-specific service conditions. Since the introduction of the first WMA technologies in the U.S. about a decade ago, it has quickly become widely used due to reduced emissions and production costs of mixing asphalt at a lower temperature. The use of RAS has increased significantly over the past 10 years primarily due to spikes in virgin asphalt prices between 2008 and 2015. The report addresses the amount of mixing between RAS binders and virgin binders when WMA is used. It provides additional guidance for designing, producing, and constructing asphalt mixtures that use both RAS and WMA to address several gaps in the state-of-the-knowledge on how these two technologies work, or perhaps, don’t work together. Micropolitan areas of the United States, cities with populations between 10,000 and 50,000 people, have received little attention from either the research or policy communities regarding their roles in the U.S. economy. Only recently has attention turned toward small-town America in order to try to characterize and understand the roles micropolitan areas play in productivity, growth, employment and, more broadly, in the innovation system of the nation. Likewise, little research has been undertaken to gain a better understanding of which policy instruments and frameworks can best support economic development and workforce readiness in micropolitan areas. TRB has released Critical Issues in Transportation 2019. In this report, which is updated periodically by the TRB Executive Committee, a series of challenging questions are posed to explore issues and opportunities that may arise 10 to 20 years into the future. These questions, 63 in all, have been organized into 12 topic areas and provide a way to frame future areas of research, policy analysis, and debate. Critical issues identified in this report deserve attention because of transportation’s central role in serving individuals and society. This document serves to sharpen society's collective understanding of transportation and its ramifications, while informing decisions by individual citizens and officials in both the public and private sectors. The issues have been identified and documented from a U.S. perspective, and are also common across developed nations. TRB's Transit Cooperative Research Program (TCRP) Web Only Document 70: Improving the Resilience of Transit Systems Threatened by Natural Disasters, Volume 1: A Guide offers practices for transit systems of all sizes to absorb the impacts of disaster, recover quickly, and return rapidly to providing the services that customers rely on to meet their travel needs. The report shows how to identify and implement appropriate resilience strategies to strengthen operations and infrastructure throughout an agency. It explores ways that agencies can become more resilient through incremental adjustments in planning and small changes in what they do every day. The guide also shows how to identify critical transit-related interdependencies and engage in broader regional resilience efforts. TRB's Transit Cooperative Research Program (TCRP) Web Only Document 70: Improving the Resilience of Transit Systems Threatened by Natural Disasters, Volume 2: Research Overview summarizes elements of the research effort that offers practices for transit systems of all sizes to absorb the impacts of disaster, recover quickly, and return rapidly to providing the services that customers rely on to meet their travel needs. It also explores additional research needs that have been identified during the course of the study. TRB's Transit Cooperative Research Program (TCRP) Web Only Document 70: Improving the Resilience of Transit Systems Threatened by Natural Disasters, Volume 3: Literature Review and Case Studies includes appendices that outline the literature reviewed and 17 case studies that explore how transit agencies absorb the impacts of disaster, recover quickly, and return rapidly to providing the services that customers rely on to meet their travel needs. The factors that affect the environments within buildings, the ways in which building characteristics influence the composition and function of indoor microbial communities, and the ways in which these microbial communities relate to human health and well-being are extraordinarily complex and can be explored only as a dynamic, interconnected ecosystem by engaging the fields of microbial biology and ecology, chemistry, building science, and human physiology. This report reviews what is known about the intersection of these disciplines, and how new tools may facilitate advances in understanding the ecosystem of built environments, indoor microbiomes, and effects on human health and well-being. It offers a research agenda to generate the information needed so that stakeholders with an interest in understanding the impacts of built environments will be able to make more informed decisions. In October 2016, the National Academies' Roundtable on Population Health Improvement hosted a workshop to explore financing structures from non-health sectors that provide lessons and examples useful for cross-sector efforts to change community conditions that influence population health. The workshop showcased speakers with expertise in clean energy financing, housing, and justice reinvestment. This publication summarizes the presentations and discussions from the workshop. This Fifth Report follows on four previous reviews of the FreedomCAR and Fuel Partnership, which was the predecessor of the U.S. DRIVE (Driving research and Innovation for Vehicle efficiency and Energy sustainability) Partnership. The report recommends that the Executive Steering Group of the partnership identify appropriate changes to reflect the impact of new personal mobility models, shrinking opportunities to achieve aggressive greenhouse gas goals, the transition of many candidate technologies into the marketplace, and the significant challenges in providing a hydrogen infrastructure, while retaining a focus on precompetitive technology enablers. While much progress has been made on achieving the Millennium Development Goals over the last decade, the number and complexity of global health challenges has persisted. Growing forces for globalization have increased the interconnectedness of the world and our interdependency on other countries, economies, and cultures. This report assess the current global health landscape and how challenges, actions, and players have evolved over the last decade across a wide range of issues, and provides recommendations on how to increase responsiveness, coordination, and efficiency - both within the U.S. government and across the global health field. This report features presentations and dialogue from a January 8, 2017 workshop at the Transportation Research Board (TRB) Annual Meeting. The workshop explored the role of public transit, shared mobility, and advanced technology (including connected and automated vehicle technology, sensing, cameras, etc.) in the recent competitions, along with next steps and plans for researching the pilot projects and documenting best practices. A decade ago, the U.S. chemical industry was n decline. Today, as a result of abundant domestic supplies of affordable natural gas and natural gas liquids resulting from the dramatic rise in shale gas production, the U.S. chemical industry has gone from the world's highest-cost producer in 2005 to among the lowest-cost producers today. To better understand the opportunities for catalysis research in an era of shifting feedstocks for chemical production and to identify the gaps in the current research portfolio, the National Academies conducted an interactive, multidisciplinary workshop in March 2016. This publication summarizes the presentations and discussions from the workshop. Evidence from the public health sector demonstrates that health care is only one of the determinants of health, which also include genes, behavior, social factors, and the built environment. These contextual elements are key to understanding why health care organizations are motivated to focus beyond their walls and to consider and respond in unprecedented ways to the social needs of patients, including transportation needs. In June 2016, the National Academies held a joint workshop to explore partnerships, data, and measurement at the intersection of the health care and transportation sectors. This publication summarizes the presentations and discussions from the workshop. TRB Special Report 321: Strengthening the Safety Culture of the Offshore Oil and Gas Industry offers recommendations to industry and regulators to strengthen and sustain the safety culture of the offshore oil and gas industry. 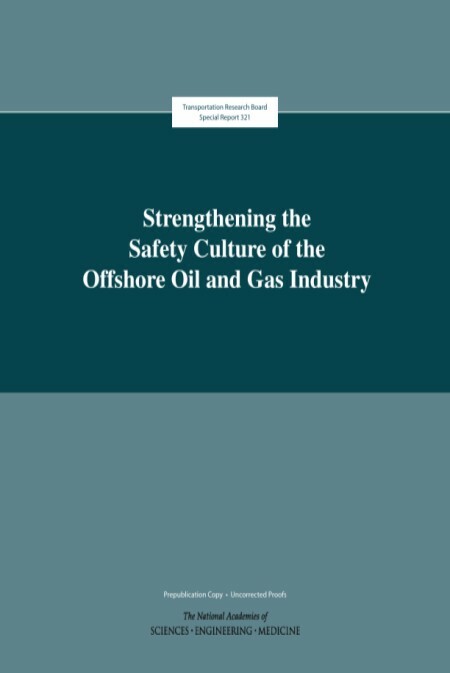 The report addresses conceptual challenges in defining safety culture, and discusses the empirical support for the safety culture definition offered by the Bureau of Safety and Environmental Enforcement, the nine characteristics or elements of a robust safety culture, methods for assessing company safety culture, and barriers to improving safety culture in the offshore industry. 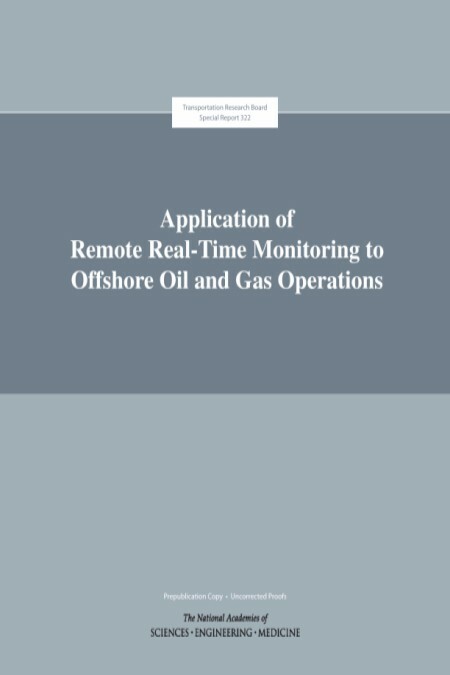 TRB Special Report 322: this report provides advice to the Bureau of Safety and Environmental Enforcement (BSEE) of the U.S. Department of the Interior on the use of remote real-time monitoring (RRTM) to improve the safety and reduce the environmental risks of offshore oil and gas operations. The report also evaluates the role that RRTM could play in condition-based maintenance (CBM), and how BSEE could leverage RRTM into its safety enforcement program. 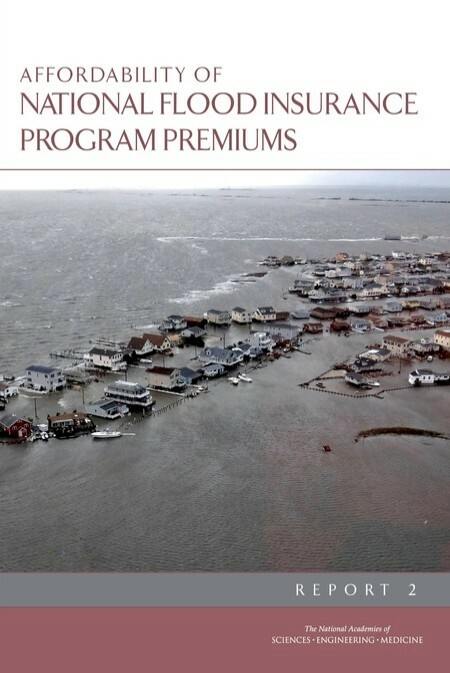 Drawing on lessons learned from a proof-of-concept analysis, this report proposes that the Federal Emergency Management Agency develop a microsimulation model—which will use a database of records for individual policyholders and property owners to mimic how policy decisions might affect those indi­viduals—to simulate the effects of different National Flood Insurance Program affordability policy options. The report also notes, however, that some of the essential data needed to support such modeling are not currently avail­able to the Agency. The U.S. Department of Agriculture Economic Research Service (USDA/ERS) maintains four highly related but distinct geographic classification systems to designate areas by the degree to which they are rural. The original urban-rural code scheme was developed by the ERS in the 1970s. Rural America today is very different from the rural America of 1970 described in the first rural classification report. In April 2015, the Committee on National Statistics convened a workshop to explore the data, estimation, and policy issues for rationalizing the multiple classifications of rural areas currently in use by the ERS. Participants aimed to help ERS make decisions regarding the generation of a county rural-urban scale for public use, taking into consideration the changed social and economic environment. This report summarizes the presentations and discussions from the workshop. The 21st Century Truck Partnership (21CTP) works to reduce fuel consumption and emissions, increase heavy-duty vehicle safety, and support research, development, and demonstration to initiate commercially viable products and systems. This report is the third in a series of three by the National Academies of Sciences, Engineering, and Medicine that have reviewed the research and development initiatives carried out by the 21CTP. This report builds on the Phase 1 and 2 reviews and reports, and also comments on changes and progress since the Phase 2 report was issued in 2012. River and coastal floods are among the nation's most costly natural disasters. One component in the nation's approach to managing flood risk is availability of flood insurance policies, which are offered on an individual basis primarily through the National Flood Insurance Program (NFIP). 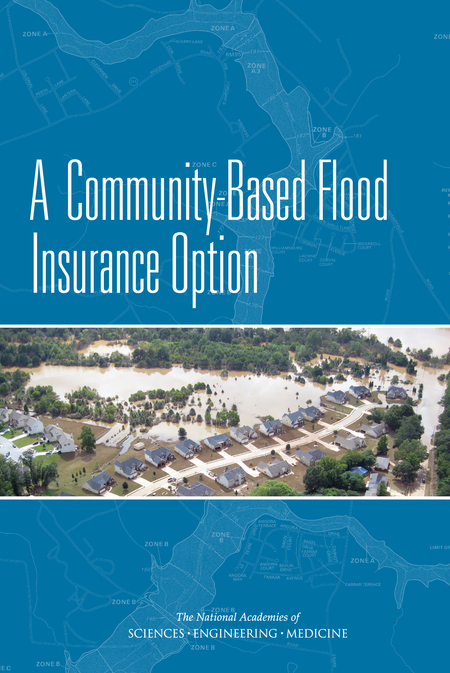 At the request of the Federal Emergency Management Agency (FEMA), this report identifies a range of key issues and questions that would merit consideration and further analysis as part of a community-based flood insurance program. In recent years, the inland waterways system has transported six to seven percent of all domestic ton-miles of cargo. The system is a small but important component of the national freight system, particularly for bulk commodities. In order to ensure efficient use of limited navigation resources, the most critical need for the inland waterways system is a sustainable and well-executed plan for maintaining system reliability and performance. This Transportation Research Board (TRB) Special Report 315 examines the role and importance of the federally funded inland waterways system, priorities for future investment, its beneficiaries, and sources of funding. Written to inform The United States Department of Transportation's National Highway Traffic Safety Administration (NHTSA) and Environmental Protection Agency (EPA) Corporate Average Fuel Economy (CAFE) and greenhouse gas (GHG) emission standards, this report is a technical evaluation of costs, benefits, and implementation issues of fuel reduction technologies for next-generation light-duty vehicles. The report estimates the cost, potential efficiency improvements, and barriers to commercial deployment of technologies that might be employed from 2020 to 2030. The National Flood Insurance Program (NFIP) is housed within the Federal Emergency Management Agency (FEMA) and offers insurance policies that are marketed and sold through private insurers, but with the risks borne by the U.S. federal government. NFIP's primary goals are to ensure affordable insurance premiums, secure widespread community participation in the program, and earn premium and fee income that covers claims paid and program expenses over time. This report is the first part of a two-part study to provide input as FEMA prepares their draft affordability framework. 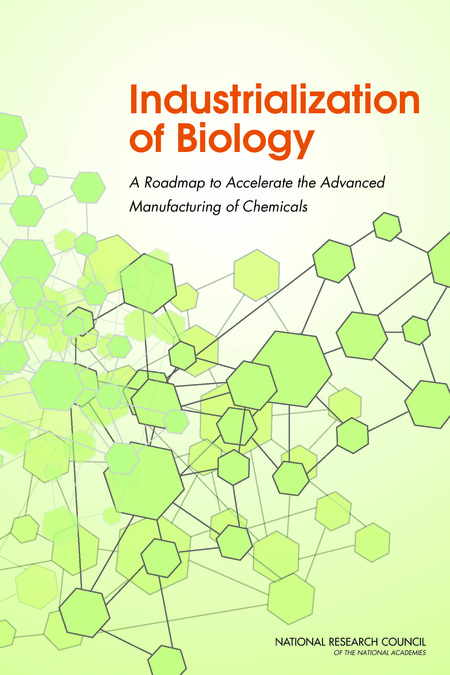 This report lays out a ten-year roadmap that aims to put biological synthesis and engineering on par with chemical synthesis and engineering for producing chemicals used in fuels, materials, and industrial applications. Advanced manufacturing of chemicals through biology could help address global challenges related to energy, climate change, agriculture, and environmental sustainability by reducing toxic by-products, greenhouse gas emissions, and fossil fuel consumption in chemical production. The roadmap identifies necessary advancements in basic science and engineering that would accelerate chemical manufacturing through biotechnology and help realize its benefits. 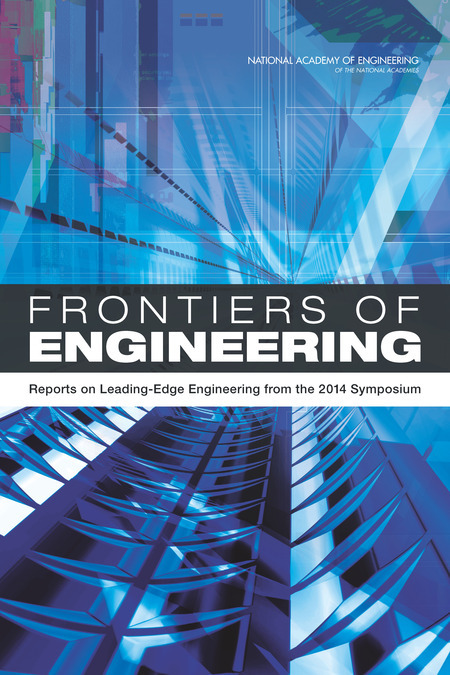 This volume presents papers on the topics covered at the National Academy of Engineering's 2014 US Frontiers of Engineering Symposium. Every year the symposium brings together 100 outstanding young leaders in engineering to share their cutting-edge research and innovations in selected areas. The 2014 symposium was held September 11-13 in Irvine, CA. The topics covered at the 2014 symposium were: co-robotics, battery materials, technologies for the heart, and shale gas and oil. This report is the summary of a workshop held on June 9-10, 2014 in Tampa, Florida. 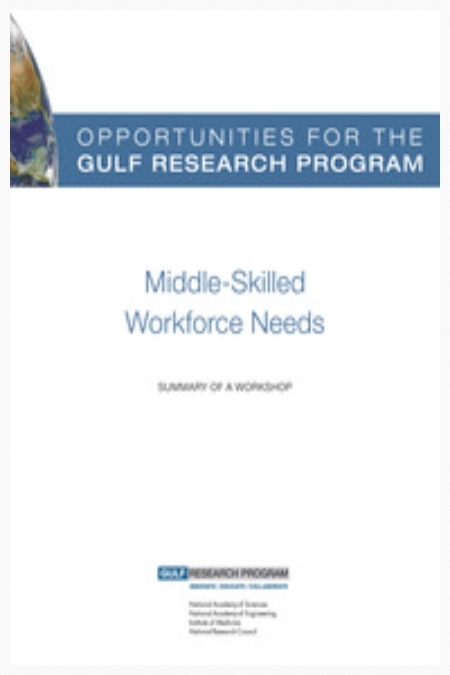 This workshop convened 40 thought leaders from the Gulf region's education, employer and policymaking communities to facilitate a discussion of the current state of education and training pathways for preparing the region's middle-skilled workforce in both the short- and long-term and to identify perceived needs and potential opportunities that might be addressed by the Gulf Research Program. This new report from several African science academies recommends catalysts for giving all sectors of society in Africa a greater stake in and responsibility for the continent's post-2015 development agenda. The report emphasizes the need for a shift in mindset in order to drive these changes. 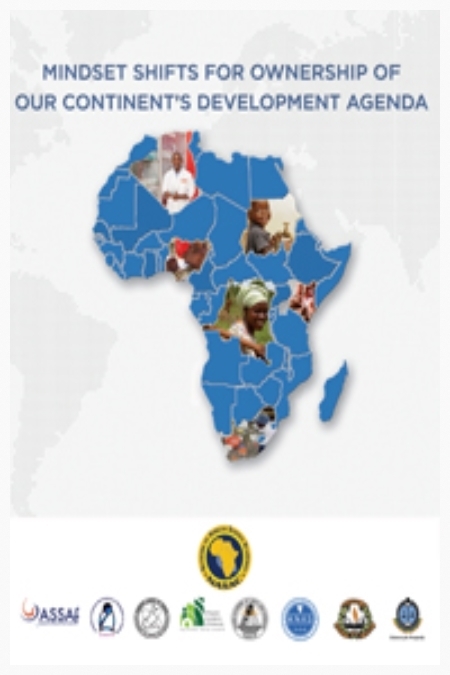 The report is intended to inform the African Union’s Agenda 2063—a vision set forth in 2013 for Africa’s next 50 years of development—as well as the United Nations' planned Sustainable Development Goals, which will build upon the Millennium Development Goals that expire in 2015. The tax system affects emissions primarily through changes in the prices of inputs and outputs or goods and services. Most of the tax provisions considered in this report relate directly to the production or consumption of different energy sources. However, there is a substantial set of tax expenditures called "broad-based" that favor certain categories of consumption-among them, employer-provided health care, owner-occupied housing, and purchase of new plants and equipment. This report examines both tax expenditures and excise taxes that could have a significant impact on GHG emissions. TRB Special Report 310: Worker Health and Safety on Offshore Wind Farms examines the hazards and risks to workers on offshore wind farms on the outer continental shelf as compared to offshore oil and gas operations; explores gaps and overlaps in jurisdictional authority for worker health and safety on offshore wind farms; and evaluates the adequacy of-and recommends enhancements to-the existing safety management system (SMS) requirement published in 30 CFR 585.810. Specifically, the committee recommends that the U.S. Department of Interior's Bureau of Ocean Energy Management (BOEM) adopt a full SMS rule for workers on offshore wind farms at a level of detail that includes the baseline elements identified in this report. TRB Special Report 305: Structural Integrity of Offshore Wind Turbines: Oversight of Design, Fabrication, and Installation explores the U.S. Department of the Interior's Bureau of Ocean Energy Management, Regulation and Enforcement (BOEMRE) approach to overseeing the development and safe operation of wind turbines on the outer continental shelf, with a focus on structural safety. The committee that developed the report recommended that in order to facilitate the orderly development of offshore wind energy and support the stable economic development of this nascent industry, the United States needs a set of clear requirements that can accommodate future design development. A new report from the National Research Council presents a framework for incorporating sustainability into the U.S. Environmental Protection Agency's principles and decision making. The framework, which was requested by EPA, is intended to help the agency better assess the social, environmental, and economic impacts of various options as it makes decisions.The recommended sustainability approach both incorporates and goes beyond an approach based on assessing and managing the risks posed by pollutants that has largely shaped environmental policy since the 1980s. The report recommends that EPA formally adopt as its sustainability paradigm the widely used "three pillars" approach, which means considering the environmental, social, and economic impacts of an action or decision. Various combinations of commercially available technologies could greatly reduce fuel consumption in passenger cars, sport-utility vehicles, minivans, and other light-duty vehicles without compromising vehicle performance or safety. This report estimates the potential fuel savings and costs to consumers of available technology combinations for three types of engines: spark-ignition gasoline, compression-ignition diesel, and hybrid. The book focuses on fuel consumption--the amount of fuel consumed in a given driving distance--because energy savings are directly related to the amount of fuel used. In contrast, fuel economy measures how far a vehicle will travel with a gallon of fuel. Because fuel consumption data indicate money saved on fuel purchases and reductions in carbon dioxide emissions, the book finds that vehicle stickers should provide consumers with fuel consumption data in addition to fuel economy information.